I am faking it people. Really, truly faking it. I am avoiding all social interactions, keeping close to the house, staying in pajamas. Except we're trying to keep it normal for the kids. Life cannot just pause for me to adjust & deal. For example! A tooth fell out while I wasn't watching! 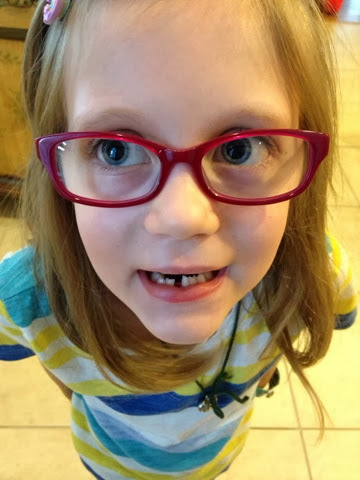 Bunny was just sitting on the couch when she announced her tooth came out. Both girls were so exquisitely excited, it was divine. Just what was needed to perk everyone up for a while. 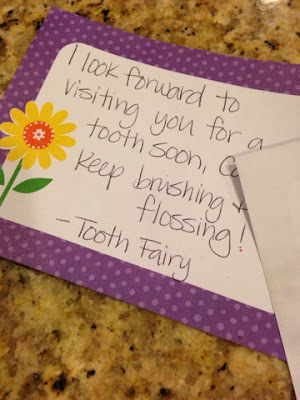 The tooth fairy came. (With much anticipation) It was noted that the coins left were not gold. (Quarters) But it was ok, she left a note! 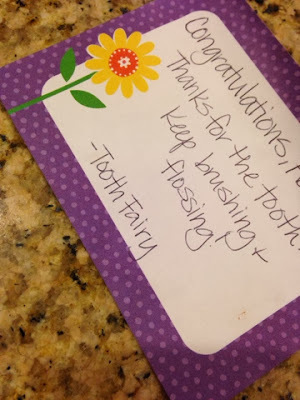 The tooth fairy is VERY thoughtful, and left another note for Squirt. It was perfection. The next day Bunny would ask questions like "do I look different without my tooth?" Yes. You look even more adorable every day, my dear. 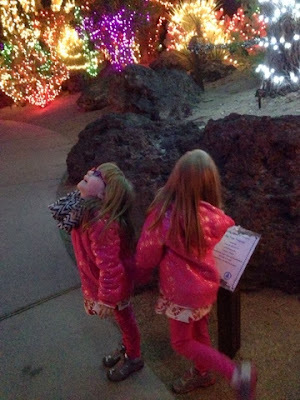 We kicked the holidays off right with a true salve for the soul: a magical garden of twinkle lights. The lights and the joy made it all better. I can tackle my Monday. 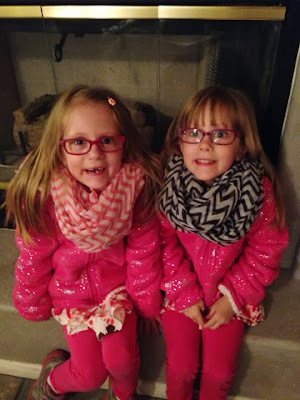 In case you needed another dose of adorable- scarves make everything happier. Let's get through this week with a smile, shall we? Oh Ashley. I am SO sorry you are having to fake it. I am thinking of you and am hoping for good things for you guys. I am here, anytime day or night if you need. Truly. Sometimes you truly do have to fake it till you make it. I'm right there with you. On the subject of teeth though, Spencer had his fake tooth removed in anticipation of finally maybe getting a real one to come through and he is super excited. Everyone hated that tooth.